What's the deal with the restatement? Finance Income>Finance costs;Part of the cash money they have for projects was put into fixed deposit accounts and government securities to earn an income. The reduced interest expense/finance costs is due to reducing closing balance of the Infrastructure Bond. Tomorrow ksh.8 per share will be smashed. On the contrary, the mini run is likely to cool off... buy the rumours, sell the news. Why should we trust them now? The rights prospectus promised dividends and delivered drought. 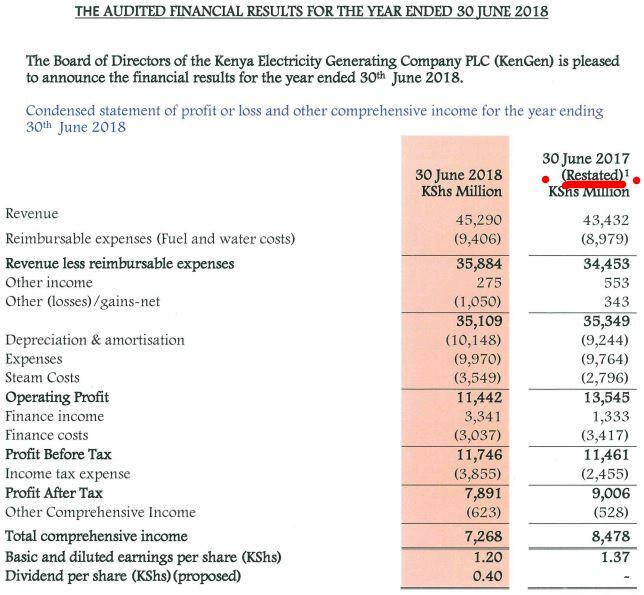 Highest dividend amount Kengen has paid in it's history. 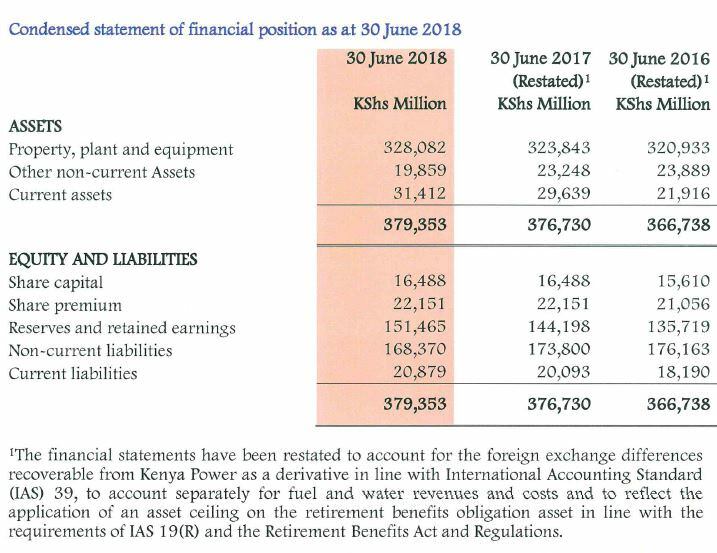 They are paying a total of ksh.2.6bn.Previously 0.40 was equal to ksh.880mn.